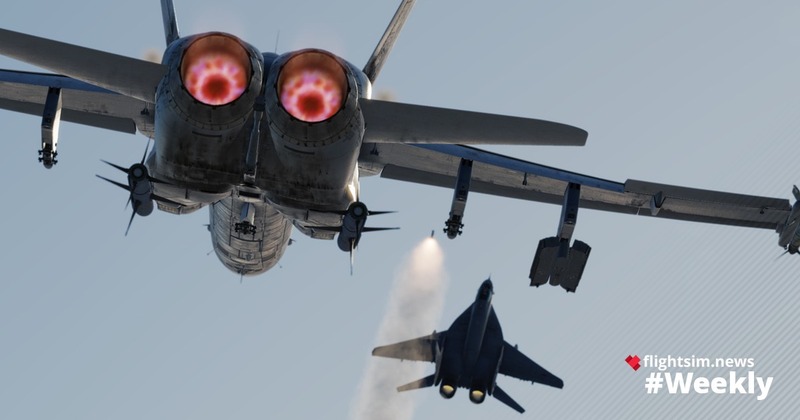 It’s Friday again and it’s time for this week’s Flight Simulation News recap here on flightsim.news. In this Issue, we have a lot of news about Aerosoft, Orbx, FlyJSim, QualityWings, Flight Sim Development Group, Airfoillabs and much more. 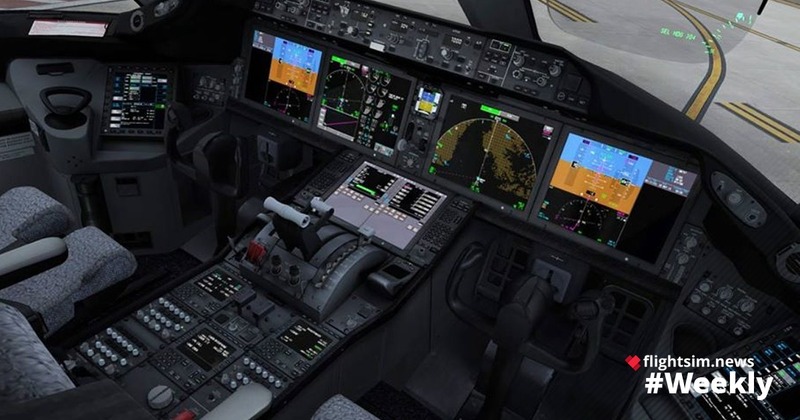 Are you ready for this week’s Flight Simulation News recap? 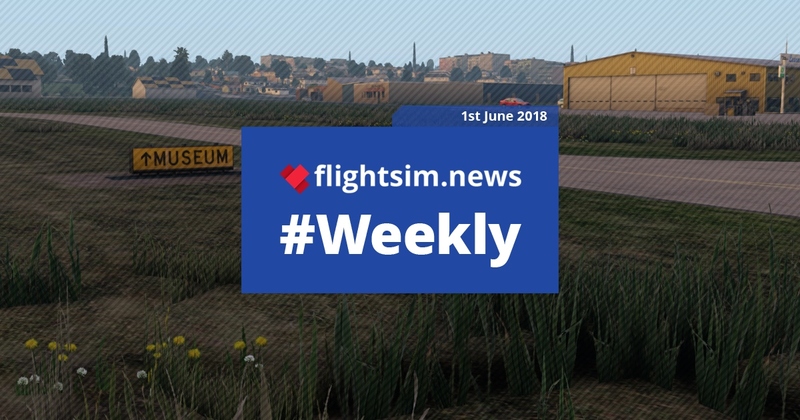 At flightsim.news weekly we’re collecting the past week’s Flight Simulation News to provide you a practical overview. This Friday, we’re serving news from QualitWings, Orbx, FlyJSim, Aerosoft and many others, including News for Prepar3D, X-Plane 11, FSX and Digital Combat Simulator (DCS). “Guess the Airport” at the FSDG. The development team has announced a new project on Facebook, but without mentioning the name of the airport. However, the building shown is likely to be located on the Aéroport International Blaise Diagne in the Senegalese capital Dakar. The Baltimore-Washington Int’l Airport (KWBI) is not very Latin American, but the developers build it also for Prepar3D v4. The images can be found here. In the current Citytrip Sale selected sceneries for FSX and Prepar3D can be bought much cheaper. Further offers see here. The discount action is valid until this Sunday, 3 June 2018. Update for the Remote CDU. 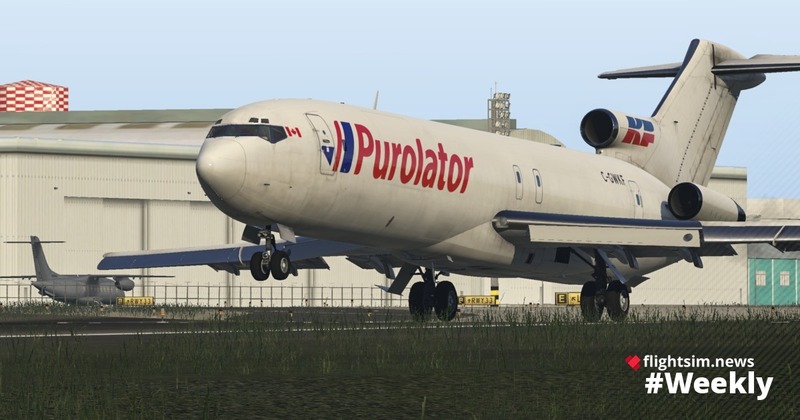 Version 4.1 of Mark Foti’s practical tool now also supports the Leonardo MD-82, the TFDi Boeing 717 and the Aerosoft CRJ. With Remote CDU the CDU of the respective airplanes can be operated comfortably on the tablet (models of Apple, Android, Amazon and Windows). Traffic Global can now also GA.
Just Flights package for AI traffic is still in the early access phase, but since the latest update also includes GA aircraft for the first time. Extensive update for Pro ATC X. A detailed changelog of the new version 1.9.2.5 can be found here. Bristol Bulldog Mk2a is coming soon. As Aeroplane Heaven writes on Facebook, the project is approaching the finish line. The update improves the docking of passenger boarding bridges to your own aircraft and to AI aircraft. St. Lucia of the FSDG in the trade. The island is the second part of the series “Pilots of The Carribean” and is available since Sunday. Status update on Santa Fe. Che Ridland of Riddlez Interactive has posted new photos of his current project in FSDeveloper. More at flusinews.de. The Cessna 421 for the FSX, FSX and Prepar3D costs just under 35 US dollars. More information here. Qualitywings Boeing 787 status update. You can read about the latest product development for Prepar3D v4 and which problems are currently occurring here. Technical Update 2 for REX Sky Force 3D released. According to the developers, the new update is urgently needed for a stable and accurate flight simulator experience. New version 1.1 of Captain Sim’s Boeing 757 is coming soon. Before the update is released, you can already download the corresponding manual. Nemeth Designs brings the Mil Mi-35 “Super Hind” Mk.III. More about the modern combat helicopter from South Africa on flusinews.de. First previews of Pearson Field. Bill Womack seems to be making quite good progress with the conversion of his scenery for X-Plane 11, as pictures in the Orbx forum (more photos here) show. FlyJSim 727 Series Professional V3 is making good progress. The developers have provided us with a few preview images of the three-spotlight. Click here to see the photos. Felis Planes is working on 747-200 Classic. First render of the jumbo jet can be found at X-Plane.org. New version for Cessna 172 from Airfoillabs. The v1.5 fixes problems with the activation of the aircraft. Jarrad Marshall’s scenery for FSX/Prepar3D is converted by Mac Ottlinger and Chris Vezirgiannis for X-Plane 11. F/A 18C Hornet in Early Access. The popular fighter has been available since Wednesday for almost 80 US dollars, but does not yet include all planned systems. Read more at flusinews.de. 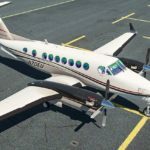 The developers of Airfoillabs have today released their long-awaited King Air 350 for X-Plane 11.